Banana Oat Chocolate Smoothies is fabulous when you want something sweet and chocolaty but very healthy too. A homemade smoothie is a great breakfast or as an afternoon snack. It is full of vitamins and nutrients. This muscle building chocolate oat smoothie is packed with proteins and healthy carbs to help you give your “all “during a workout. While exercise is very important for getting fit, it is not everything. Diet is as important. They are fast and easy to prepare. Smoothies are endlessly versatile and much cheaper than store-bought, letting you use whatever fruit is in season or on offer I had used banana, oat, and chocolate milk this time but if you're allergic to milk, substitute it with fruit juice or non-dairy milk. Try this filling and a guilt-free treat to start the day! Place rolled oat, banana and ¹/₄ cup of chocolate milk. Blend until smooth. Now add the rest of the ingredients, blend again until well mixed. Adjust milk and ice water according to your preferred texture. Pour into 2-3 tall glasses to serve. 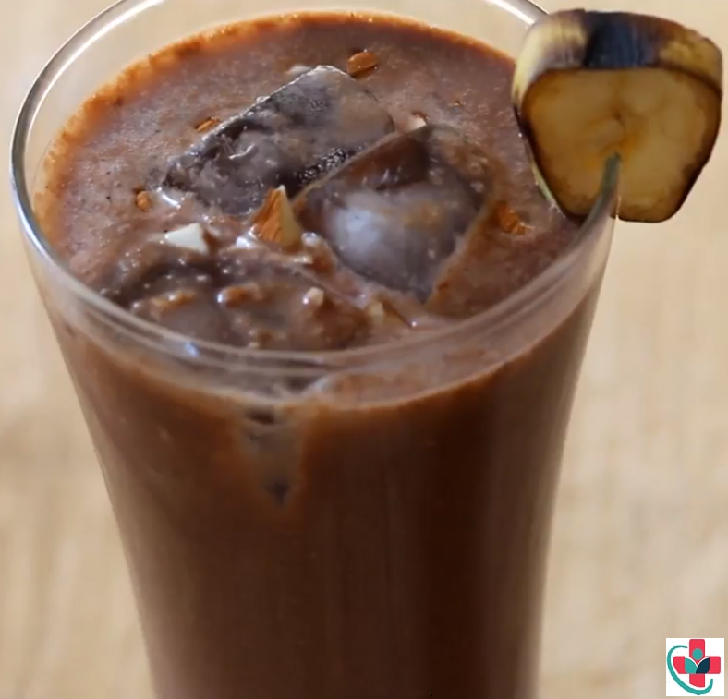 Let’s take a closer look at the ingredients in this banana oat chocolate smoothie.